A cup of tea is the perfect way to start the day. It’s an excellent accompaniment to a meal or for an afternoon break. Many enjoy it after dinner, as the evening starts to wind down. It’s a dynamic drink. Tea houses and tea rooms throughout Maine serve tea along with small sandwiches and pastries. Tea shops provide the tea lover with way more options than any grocery store, affording both tea bags and loose-leaf tea, in blends from black to exotic that fit nearly every imaginable taste. The following tea houses and shops in Maine are some of our absolute favorites. The Tea Space is a remarkable little tea shop in Ogunquit. Filled with a wide variety of teas, there is also a wealth of accessories available for sale. Choose from tea strainers, teacups, teapots, tea cozies and more. At Dobra Tea, you’ll find more than 100 teas sourced from farmers and producers known to the business owners. Stay and sip a hot cup or buy some to go. Choose from teabags and loose-leaf tea. Environmental consciousness is at the root of every product in the shop. More than 100 teas are available to drink or to buy for home brewing at Clipper Merchant Tea House. Shop giftware for the tea lover, too. Make a reservation for high tea or attend one of the themed tea parties held throughout the year. Scones, sandwiches, meat pies, and petite quiches are on the menu. You’ll find everything tea-related at Nellie’s Tea. They have the highest quality teas available in stock to enjoy in house or to take home to brew. In addition, tea tasting classes are held regularly so tea lovers can learn more about their passion. 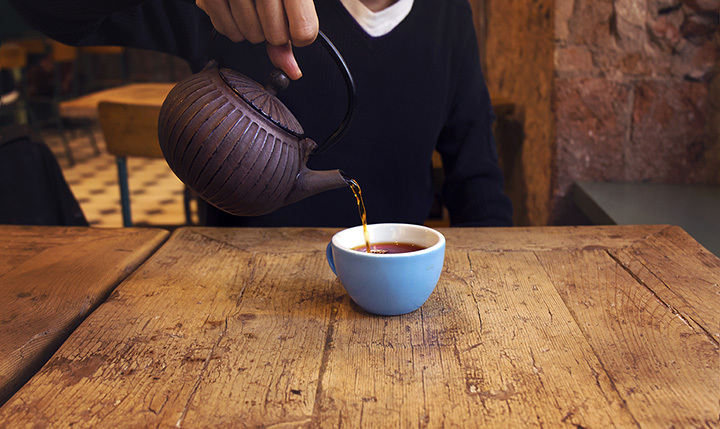 Tea classes include the civility refined tea drinkers appreciate, along with the proper way to brew pots of tea. A nice array of gifts for the tea lover are available, too. Enjoy loose leaf infusion teas at Selah Tea Café. The friendly staff knows tea well and will be happy to talk about brewing the perfect pot or cup with you. Light breakfast and lunch items are available, too. Enjoy your tea with some of the finest baked goods around at European Bakery and Tea Room. Plan a tea party at the tea room for an upcoming special occasion. Once you’ve taken tea here, a plain old pastry to dunk in your tea simply won’t do. You’ll be spoiled beyond your wildest imagination. Tea Maineia Tea Shop & Lounge wants to take away everyone’s fear of brewing loose leaf tea. Hot samples are always available in the shop, or you can order a cup to enjoy with one of the delicious baked goods on hand. Buy your favorite loose-leaf tea to take home and brew, as well as tea accessories, too. Open seasonally, Jordan Pond House Restaurant is best known for its tea and popovers. In fact, almost as many people visit for that fare alone, rather than for a full meal. There are several teas from which to choose, along with the lightest, fluffiest popovers, served with real butter and fresh Maine preserves. You haven’t experienced tea until it’s served with a popover from Jordan’s. When you visit Bar Harbor Tea Company, expect to be impressed with their signature collection New England blends as well as small batches of unique blends of tea. Enjoy a cup in-store but be sure to take plenty home to brew later. The store has the best collection of mugs and teapots in the entire state of Maine, as well as a lengthy list of tea accessories. Enjoy some exquisite blends of loose tea at Homegrown Herb and Tea. The healing power of homegrown herbs and plants is infused into every cup you’ll try. Enjoy your tea in the tea room or take some home to brew. You’ll definitely walk away with an education in brewing something healthy, healing and delicious when you leave.